It is the day that everyone dreads: Laundry day. We spend nine months of our lifetime during our laundry, and according to a survey done by Minijob Centre, laundry was listed as the most popular household chore. Laundry is more complex than we think. Have you wondered what those symbols on your labels mean? How about which detergent to use for which fabric or colour? We have solved the mystery around getting your laundry done the right way and soon, you’ll be spending your weekend relaxing instead of stressing out on your laundry. The washing basin symbol means that washing is allowed and the crossed out basin means no washing is required. The number in the basin represents the maximum temperature in degrees Celsius and a hand in the basin means that the clothing can only be hand washed. The circle indicates the possibilities of professional cleaning. The various letters in the circle represents different solvents. The letter “F” represents fabrics that can be dry cleaned with hydrocarbon solvent only, “P” represents dry cleaning with tetrachloroethylene only and “W” represents professional wet cleaning with aqueous base solvents. Now that you understand how to wash the respective textiles, don’t forget to sort the textiles by colors and if possible, by materials before dumping them into the washing machine. Once you have sorted out your laundry, which detergent should you choose that will provide the best clean? Basic detergent typically ranges from three types of detergents: heavy-duty, color wash and mild. Heavy-duty detergent cleans all fabrics with that requires a thorough clean and can be used for all washing programs. Note that this type of detergent contains washing powder in addition to bleach, optical brighteners and enzymes against dirt that may cause discoloration in non-white clothing. Wool has the same properties as the human hair. They are destroyed by the enzymes contained in our detergents. Therefore, a mild detergent is recommended for wool and silk fabrics. Liquid detergents contain no bleaching agents because they do not long function well in liquid state. However, the selection of an agent also depends on how dirty your clothes are. Light stains can easily be removed with liquid detergent but powder detergent is preferable for stronger stains. However, have you ever wondered where the white residues on your newly washed clothing come from? This occurs because the powder detergent contain insoluble zeolites that is missing in liquid detergent. So, although the washing performance is reduced with liquid detergent, white spots do not appear. Note that temperatures above 60 degrees destroy enzymes in the detergent and thus making the washing ineffective. In addition, this causes up to 90% of the energy wastage just for heating up the water. In fact, the perfect temperature to kill most germs is around 30 degrees. Basically a longer wash cycle at low a temperature not only saves a lot of energy, but also allows the detergent more time to react. 4. 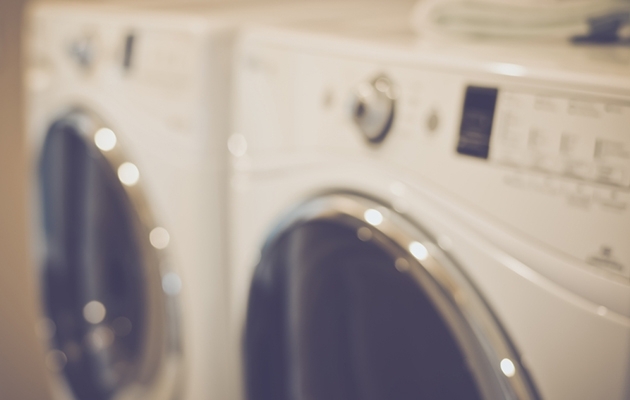 Does laundry softeners really matter? Softener make our clothes and towels feel luxuriously soft and provide a pleasant scent. However, they are particularly harmful to the environment and make textiles less absorbent. This is because the fabric softener is released only in the final rinse of the laundry, and is absorbed in the fibers rather than rinsed out. In addition, softeners can even lead to allergic reactions.